Ivan Iusco, the artist behind the It moniker, has been running Minus Habens Records since 1992. 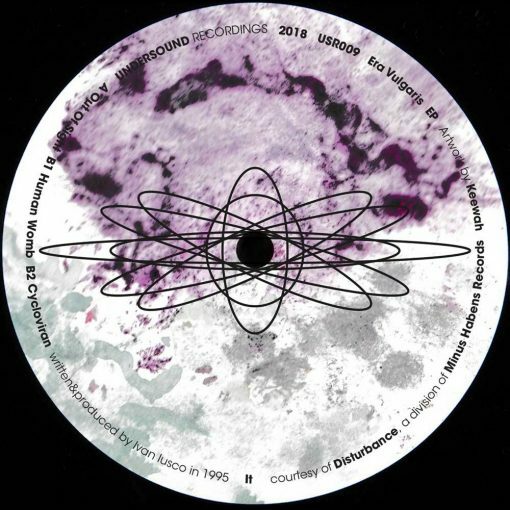 Its Disturbance sublabel has been responsible for releasing forward thinking techno and experimental releases from a range of well known artist such as Marco Repetto, Aphex Twin, Speedy J and Atom Heart among others. Here we present three tracks that have previously been released on his Era Vulgaris CD album. The EP ranges from techno to more abstract broken beats on the flip side, displaying the versatility of IT as a producer and encompassing the sound of the first years of Disturbance. More items from " Undersound Recordings "